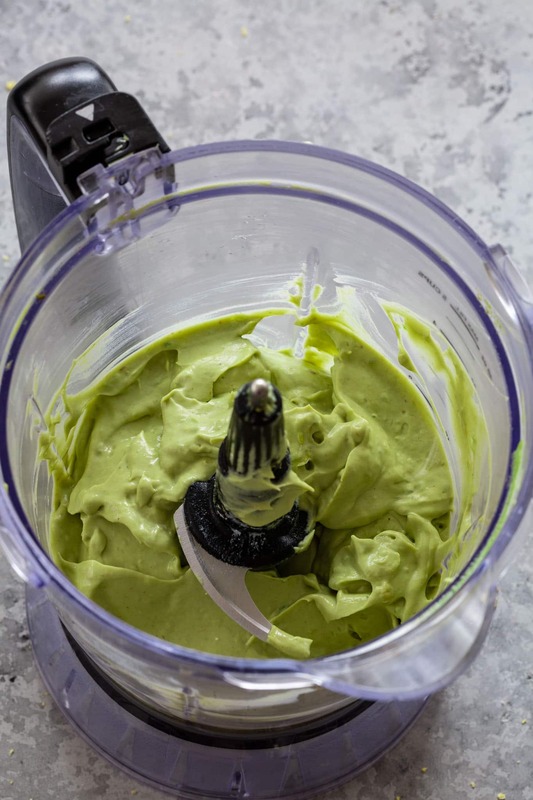 Creamier than guacamole, this Whipped Avocado Dip embodies the freshness of spring! It is tangy, light and easily customizable. Serve it with Mission Organics® Yellow Corn Tortilla Chips and watch it vanish in seconds! After a long and cold winter, I’m really excited for spring this year. And while I plan on being outdoors as much as I can, popping in the kitchen every now and then to cook with fresh, seasonal ingredients is definitely going to happen quite a bit! After all, there’s nothing more welcoming than the sight of spring’s vibrant produce. 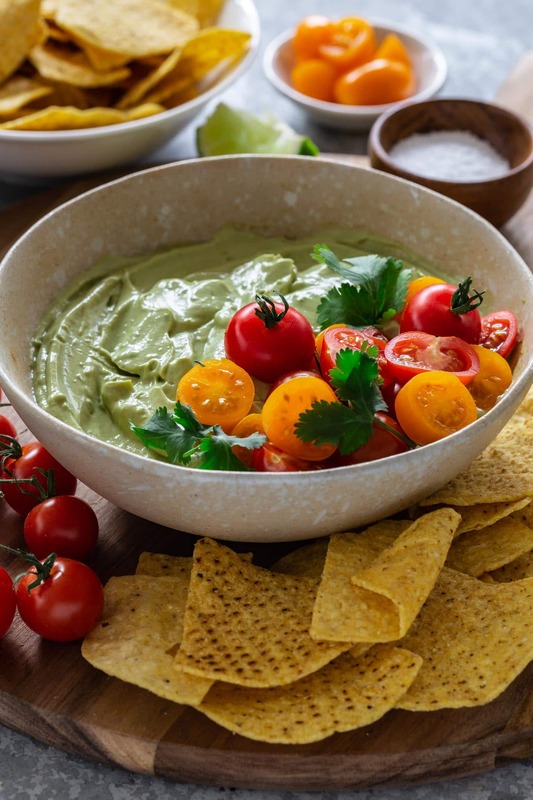 I thought I would start our series of spring posts here on the blog with this luscious and creamy avocado dip, perfect for spring and summer entertaining! I know what you’re thinking: avocados are available year-round, so I can’t exactly say they are seasonal. But there’s something about a big bowl of avocado dip that screams spring (or summer) time. 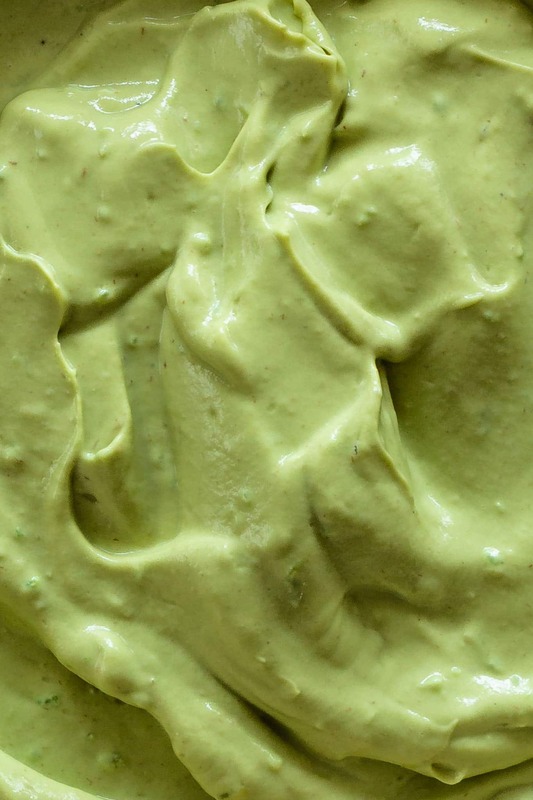 What’s the difference between Whipped Avocado Dip and Guacamole? 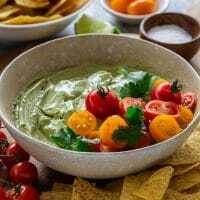 First, there’s the obvious textural difference, where guacamole is mashed and whipped avocado dip is… well, whipped, as in processed or blended. 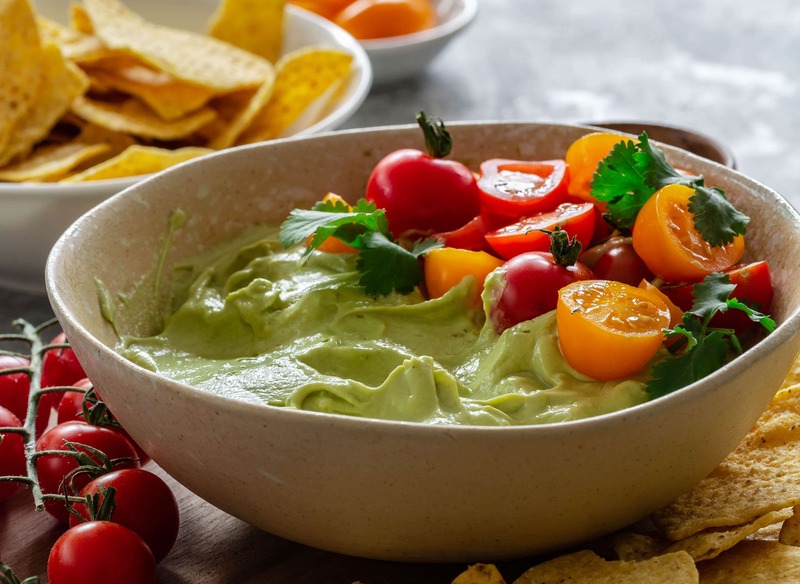 The next big change is the fact that this dip has sour cream, which not only makes it creamier than guac, but also gives it a nice tangy flavor that goes so well with the slight sweetness from the avocados. 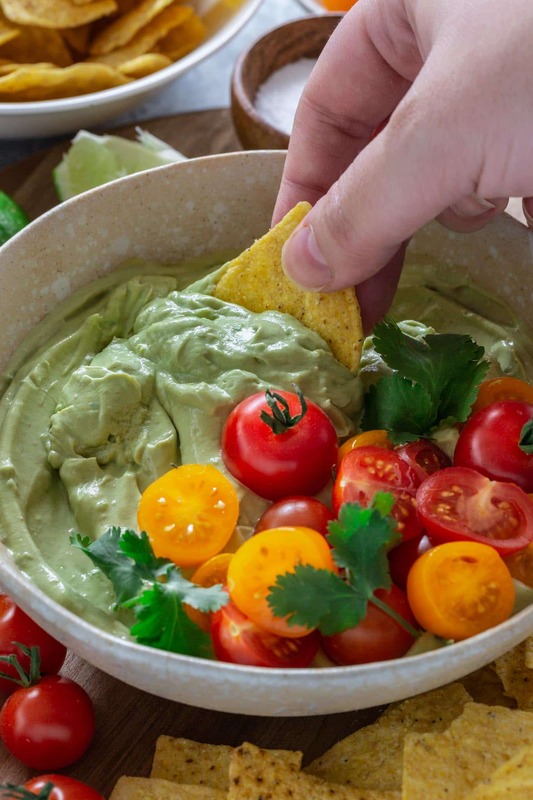 There are several ways to make guacamole, but almost all of them involve mixing the mashed avocados with other chopped ingredients, like red onions, garlic, jalapeños, cilantro and – sometimes – tomatoes. In this dip, all the aromatics are blended together, so both flavor and texture are smoother and more rounded! And while you can definitely eat it as is – straight out of the food processor or blender – you can add some fun toppings, like cherry tomatoes or pistachios, if you’d like. Making this dip is a breeze! The whole thing, from start to finish, won’t take you more than 5 minutes. All you gotta do is throw all the ingredients in the food processor (or blender) and blend until creamy and smooth. Sour cream – or you can use Greek yogurt instead! 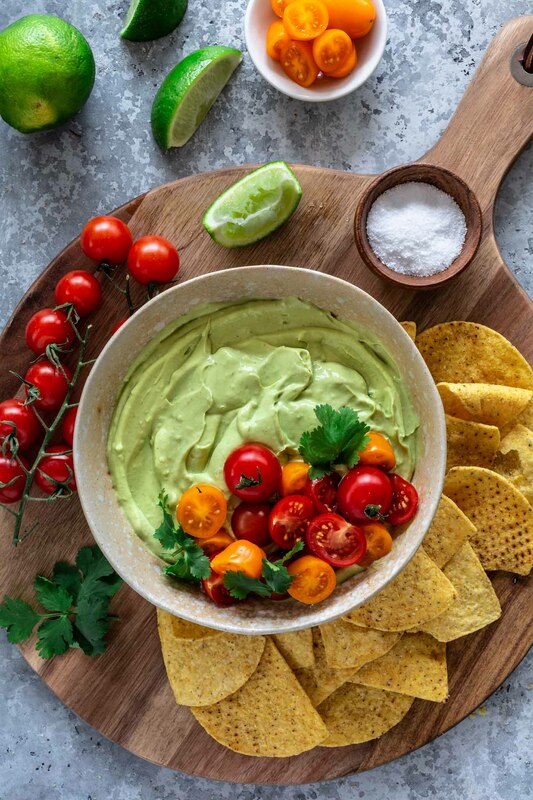 What to serve with Whipped Avocado Dip? Sure, this dip goes great with crudités. But I couldn’t imagine serving it without crunchy, delicious tortilla chips! No, no! I refuse to live in a world where creamy dips are served without yummy carbs. And if you know me, you know I love my Mission tortilla chips! I can eat a whole bag as is and use many others to make all sorts of fun things, like my Thanksgiving Leftover Nachos. 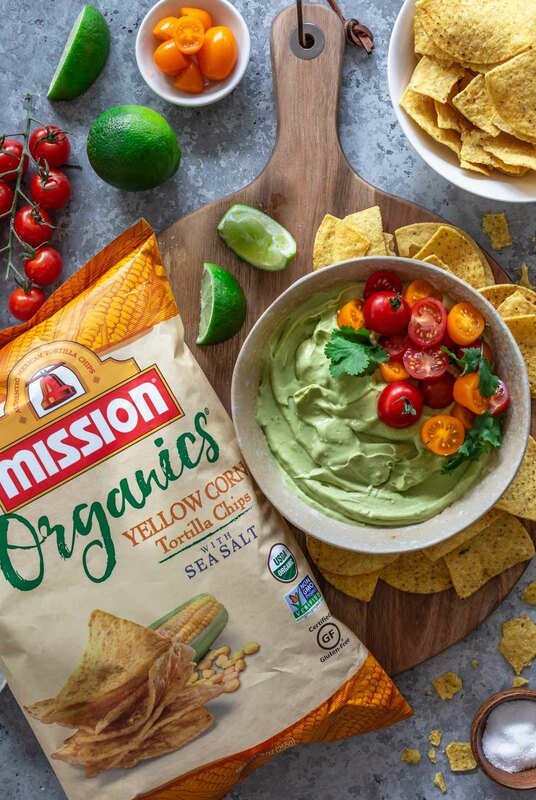 Not only are the chips USDA organic certified and non-GMO project verified, they’re also made with no artificial preservatives, colors or flavors. They truly taste like homemade chips, with a delicious corn flavor that you can’t beat! Plus, they have just a few wholesome ingredients, plus sea salt! So do yourself a favor and next time you’re at the grocery store, stop by the chip aisle to get a bag. I promise you won’t regret it! They’re available nationally at most grocery stores. 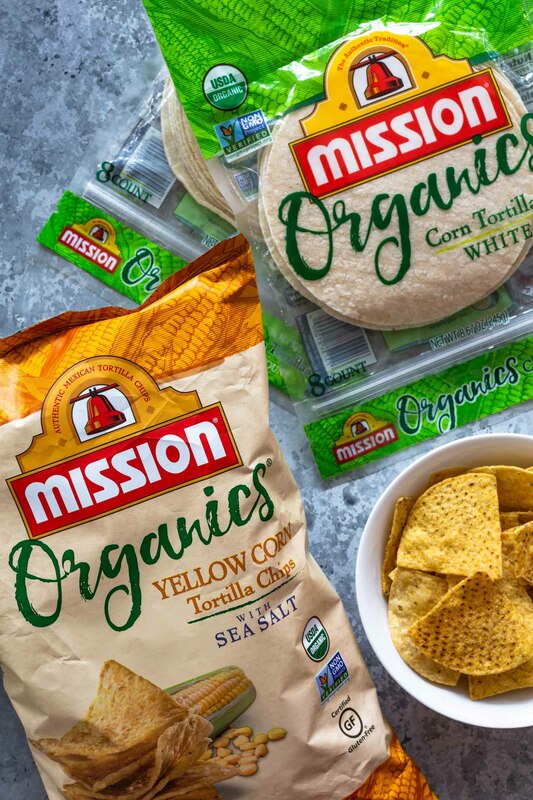 Also, while you’re there, make sure to grab Mission Organics® White Corn Tortillas at the same time! They’re also USDA certified organic, are non-GMO project verified and contain no artificial preservatives, colors, or flavors. Serving them warm is best for full flavor! Since it contains sour cream, this dip doesn’t turn brown as quickly as guacamole does. So you can just store it in the fridge and stir it well when you’re ready to eat it! If you want to take an extra step for caution, you can always add a layer of sour cream on top, before covering it with plastic wrap. The lactic acid in sour cream is great at combating the oxidizing enzymes in avocados. Got leftovers? You can use it as a spread on tacos, quesadillas, burritos, nachos, burgers and sandwiches. You can also put it back in the blender and add some olive oil or extra lime juice to thin it out, making it a delicious salad dressing! Combine all the ingredients in a food processor or blender and blend, scraping down the sides as necessary, until creamy and smooth. Transfer to a serving bowl and serve with Mission Organics Yellow Corn Tortilla Chips.